Wednesday night will be the first practice of the 2015/16 hockey season for the Atom Girls HL team. On Wednesday I would ask that the girls be ready at 6:25-6:30 without helmets on. I would like to have a welcome meeting for the players to introduce myself and discuss plans and expectations for the year. 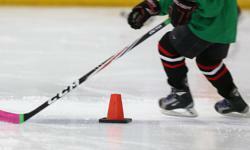 When girls head on the ice they will skate with Atom Girls "c" while the parents and myself have a parent meeting. We will discuss season, tournaments, and plan for the year. If every player could have at least one parent there that would be appreciated. We will be collecting contact information as well as email and the minor hockey website will be main sources of contact.